The Khilji Dynasty ruled over parts of South Asia and originated from the Turko-Afghan Khalaj. The Khilji Dynasty was founded by Jalal-ud-din Khilji who had overthrown Balban’s successors. Initially Jalal did not get enough support from the nobles and people of Delhi; he was to face tough tasks ahead. His rule settled down only due to his impeccable character, his generosity, devotion and his just judgment. He was an aged man of seventy and was mild and weak. As a trend he being the Sultan faced many revolts and attacks within his empire. Unfortunately great rebellions were encouraged and given birth due to his lenient temperament and so the throne of Delhi was seen to diminish in authority over again. With such a character its natural that Jalal-ud-din did not pursue any conquest and the ones that were attempted by him, failed. Since he was a peaceful man he allowed many invaders to peacefully settle down in the country. But to much of our surprise he suffered a violent death. He was murdered by his nephew Ala-ud-din in 1296. However he soon won over the nobles by the lavish use of gold. For some time he had to face some rebellions from nobles as well as his relatives. Alauddin dealt with all of them with a severe hand. After consolidating his position and firmly establishing himself at Delhi, Alauddin undertook the first expedition to Gujarat in 1297 A.D. Possibly he was attracted by the wealth of Gujarat whose flourishing trade had always lured invaders. Alauddin sent an expedition under Ulugh Khan and Nusrat Khan to Gujarat. On the way Ulugh Khan conquered Jaisalmer. The invaders plundered Gujarat and its capital Anhilwara and went as far as Cambay, destroyed the temple of Somnath and returned to Delhi with immense booty. He also sent an army to Multan soon after his accession. He faced resistance from the sons of the late Sultan and wanted to subdue them forever. Ulugh Khan and Zafar Khan were entrusted the task of eliminating Akrali Khan at Multan. After his capture, Multan once again came to the control of the Delhi Sultans. In 1309 A.D. the Kakatiya kingdom was attacked. Its ruler Prataparudradeva accepted the suzer­ainty of Delhi and surrendered vast treasures. In 1310 A.D., the Muslims attacked the Hoysala king­dom. Its ruler Vira Ballala III surrendered all his treasures. Gradually Kafur subdued the Pandyas as well of Madurai. 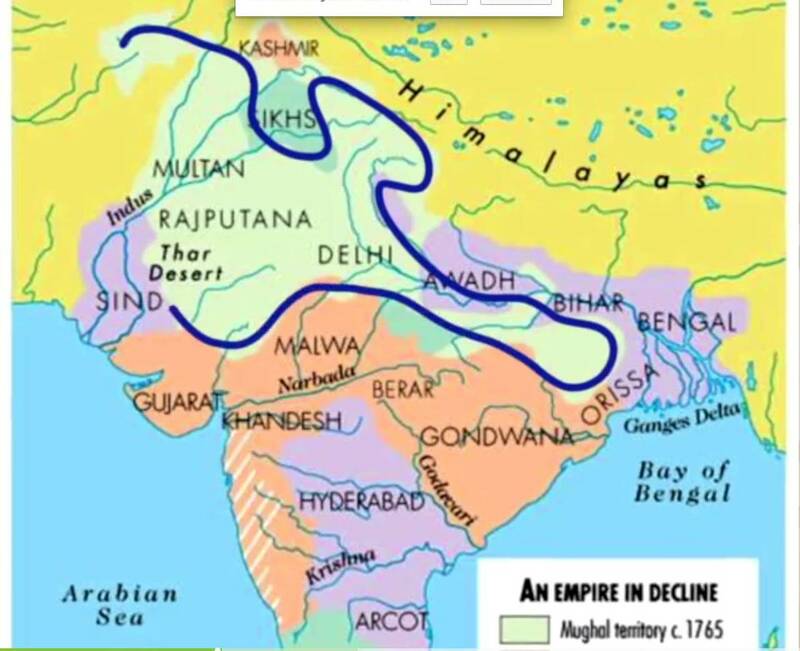 None of these territories were annexed by Alauddin directly but the flow of wealth was ensured from these regions. Alauddin was an ambitious and capable ruler He was so overwhelmed by his success at con­quests that he dubbed himself as the ‘Second Alexander’. He assumed the title of Sikandar-i- Sani. He dreamt to conquer the world and even thought of starting a new religion. After consolidating his position, he started the task of administering the empire with an iron hand. He established a strict system of administration. As a continuation of Balban’s policy of kingship, Alauddin too strengthened the position of the Sultan through some tough measures. After deliberate thinking he came to the conclusion that there were four reasons of rebellion: Sultan’s disregard to the state’s affairs; drinking of wine; closeness among the nobles through get together and; over affluence of the subjects. Jalal-ud-din Khilji (1290 AD-1296 AD): Jalal-ud-din Khilji was the first sultan of Khilji Dynasty. He ruled the dynasty from 1290 AD to 1296 AD. He was very liberal towards Hindus and it was not fully accepted by the nobles. His mild policies failed to control the unfaithful nobles. In 1296 AD, he was killed by his nephew Ala-ud-din Khilji while he went to welcome his victorious nephew after the conquest of Devagiri. Qutb-ud-din Mubarak Shah (1316 AD-1320 AD): Qutb-ud-din Mubarak Shah succeeded his father Ala-ud-din Khilji and became the sultan of Khilji Dynasty in 1316 AD. He was the last ruler of the dynasty. In 1320 AD the Khilji Dynasty came to end after Mubarak Shah was killed by Khusro Khan, a military leader of medieval Indian. 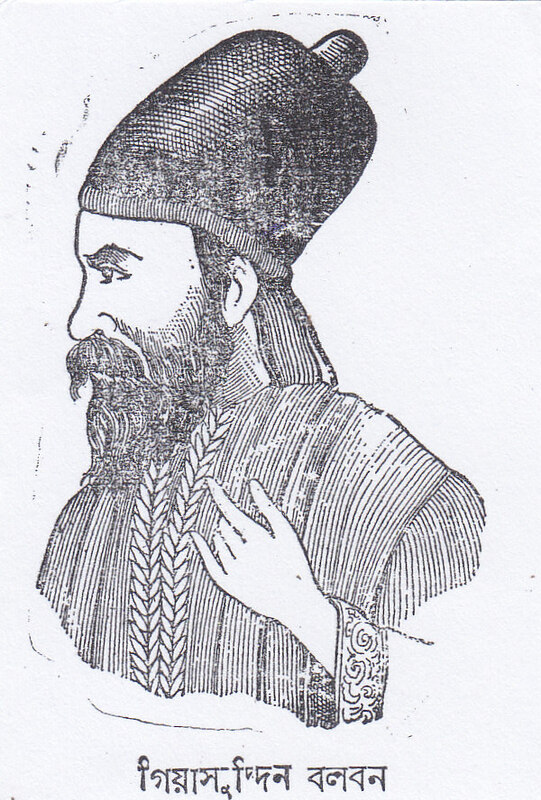 Khusrau Khan (1320 AD): He was killed by Ghazni Khan, governor of Dipalpur when he tried to oppose a rebellion by Ghazni Malik and his son Fakhr-ud-din Jaima. 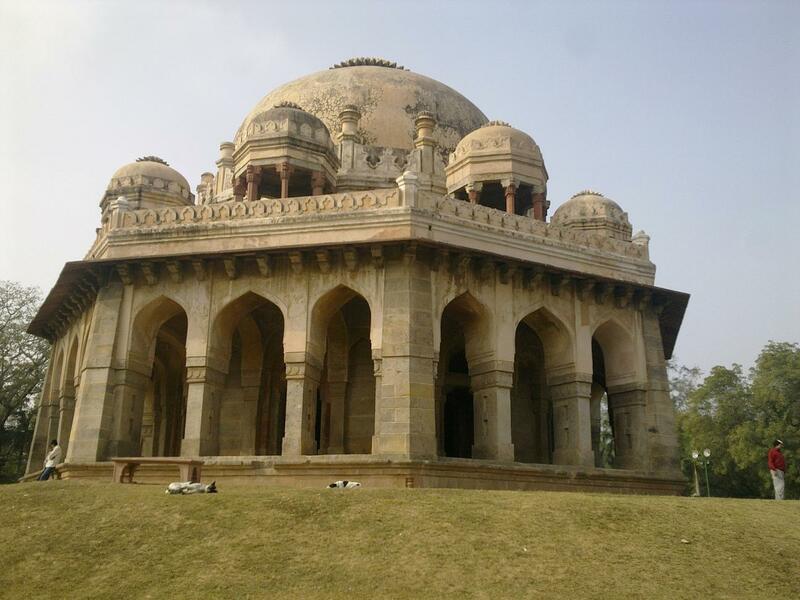 This marked the ned of the Khalji dynasty and the rise of Tughlaq dynasty at the throne of Delhi. Nobles should not intermarry without his permission. Confiscated the properties of Nobles classes. Abolition of Iqtas of royal troppers and the payment of their salaries in crash. Regular muster of the army. The Islamic architecture flourished under the aegis of the ruling power of the Muslim rulers of Delhi which was maintained for a period of over three and a half centuries. The origin of these architectures was from distant parts of Western Asia, which prevailed in India from the twelfth to the sixteenth centuries. The architecture during Khalji dynasty was in the formative stage of building art that made a little progress in the last years of the thirteenth century in India. Khaljis were the second Muslim dynasty and ruled the Delhi Sultanate from 1290 to 1320. Under the reign of Ala-ud-din Khalji, who ascended the throne of Delhi in 1296, a crucial development in the field of architecture took place. He was considered as a great patron of Islamic architecture. This ruler’s most important building projects were the extension of the Qutb mosque and the construction of Siri Fort in Delhi. Islamic architecture in India was introduced by Qutb-ud-din Aibak in 1191, the first Slave King from the Slave dynasty. He was the most active patron of the building art and his constructions were of the greatest significance in laying the foundations of the style. Later the tradition of the Islamic architecture was followed and continued by the Khalji dynasty. Architecture during Khalji dynasty was a lot contoured by Ala-ud-din Khalji. He reconstructed the Qutb mosque erected by his predecessors. He extended its northern end and raised a colossal minar. The proportion of the minar was double, compared to those of the one set up by the Slave Kings a century before. The main walls of the mosque are still visible; however, most of its parts are present with its huge core of rubble. Apart from the Alai Darwaza, the other architectures during Khalji Dynasty were Siri Fort, the second of the seven cities of Delhi, constructed in 1303 and the Jamaat Khana Masjid at the tomb of Nizam-ud-din Auliya, a distinguished saint of the period, erected towards the end of the Khalji rule. Several other buildings were erected near the Qutb area. One is recognised as a college and another one is the tomb of the Ala- ud-din Khalji. Another example of the Islamic architecture during the Khalji dynasty was the Ukha Masjid at Bayana in Bharatpur State, at Rajasthan. This mosque was built by Qutb-ud-din Mubarak (1316-20), the last Sultan of the Khalji dynasty. Siri Fort in Delhi was a great example of Islamic architecture during the Khalji dynasty. It was built to protect the people from the repeated invasions of the Mongols. Apart from the palace, Siri Fort had living quarters of Khaljis and several other buildings inside it. The well-known 1,000-pillar palace of Ala-ud-din Khalji, named Hazar Sutun was also present inside the Siri Fort, however, the only existing building present inside it is the Hauz Khas. The architecture of Khalji dynasty came to an end due to the death of its last Sultan Mubarik.